Hussein Mohammed (full name: Abdikadir Hussein Mohamed) is a senior anchor at Citizen TV of Royal Media Services. He, together with Janet Mbugua Ndichu host “The Big Question” news bulletin on Monday’s 9 PM Citizen TV news. Hussein went to Kanyakine High School in Meru County and thereafter in 2011 joined Zetech College to pursue his passion in Photography and partly in Journalism. In high school, I was the Chairman of the Journalism Club; a role that I came to play again while at Zetech College. In both institutions, I aimed at inspiring and developing the art of Swahili journalism. He joined Citizen TV in 2008 and since then his professionalism and demeanor have raised his profile both nationally and internationally. He is a man whose star keeps on shining each day. Sources close to the news anchor reveal that the top-rated journalist is being sought by international media houses. Several international media houses have approached him in the past 2 months, according to one of his close associates. Though he is not in a hurry to move out of Royal Media Services, the promise of hefty pay might tempt him to change his heart. 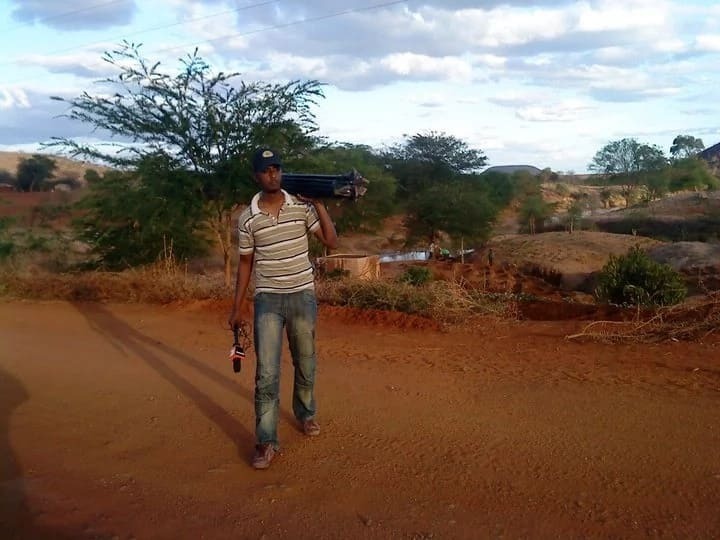 Citizen TV’s Hussein Mohamed is a man whose star keeps on shining each day. Sources close to the news anchor reveal that the top-rated journalist is being sought by international media houses. Hussein joined Citizen TV in 2008 and has since mastered the art of being nonpartisan and ever objective in his interviews. In the recent past, he has interviewed several politicians, including former Prime Minister. The way he conducts the interviews has significantly raised his profile, thus attracting the attention of foreign media. On a light note, After completing college, Hussein used to tell people he was on attachment, but in a real sense, he was out and about building his own portfolio. When asked about ‘the attachment’, he would tell them that he was working with ‘Kenya Tarmacking Network’ (KTN). In December 2014, he walked down the aisle with her fianceé Malyun. The two got married in a traditional Islamic ceremony called Nikkah at South C at the Masjid Nur. Away from all the glare of the camera and plush TV studios, Mohammed is a family man. He got married in 2014 to his lover Malyun at a traditional Islamic ceremony held inside Masjid Nur in South C.
Hussein is rarely seen with his wife and has managed to keep his family out of the prying media. In July 2015, Gatundu South MP Moses Kuria caused a stir on Tuesday evening when he walked out in the middle of a live television interview. Mr. Kuria, who was being interviewed by Citizen TV anchor Hussein Mohamed, stormed out when a clip of him allegedly inciting youth in Gatundu was about to be played. The clip, which has elicited anger from Kenyans, shows Mr. Kuria urging his constituents to attack politicians opposed to the National Youth Service (NYS) projects. Hussein Mohamed had asked him to explain his utterances. Moses Kuria claimed a huge portion of the clip had been edited and demanded that the video, which he says was 45 minutes long, be played in full for Kenyans to know what really transpired. “I was taken out of context. To understand you have to see the full footage of my speech,” Mr. Kuria said. However, Hussein Mohammed insisted on playing the clip, which prompted Mr. Kuria to walk out. In October 2015, Citizen TV’s Janet Mbugua faked labor pains lost for words. 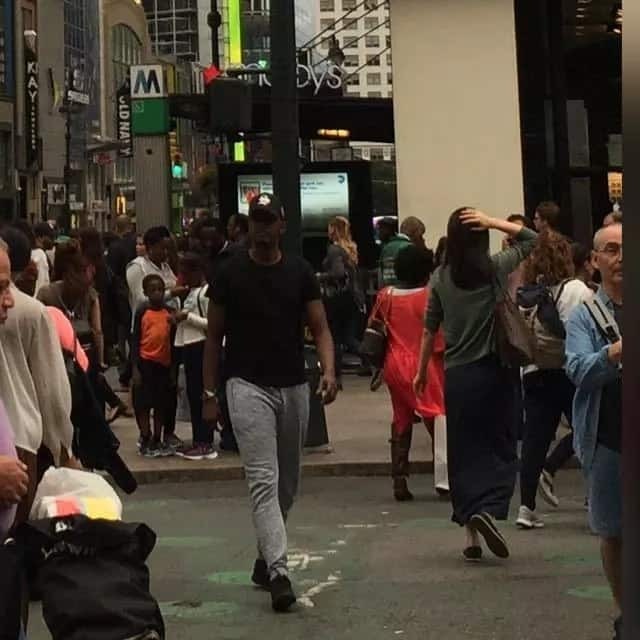 Hussein Mohamed was shocked reacting like most men would, only letting out one word, “okay!” The tension, however, did not last long as Janet relieved him from the moment saying it was a joke. The stunt brought down the studio in laughter, as the two together with the panel of guests shared in the light moment. As the show wound up, Mbugua announced that she was getting off the screen for a period of three months, adding that Jackie Maribe would stand in for her. Raila Odinga’s first interview since the famous Handshake with President Uhuru Kenyatta. A source inside statehouse confirmed that president Uhuru watched the entire interview and was thrilled by the prime minister’s super response to tough questions posed by Hussein Mohammed. Uhuru is very happy with Raila. he walked out in the middle of a live television interview. Mr. Kuria, who was being interviewed by Citizen TV anchor Hussein Mohammed, stormed out when a clip of him allegedly inciting youth in Gatundu was about to be played. Hussein Mohammed had asked him to explain his utterances. Moses Kuria claimed a huge portion of the clip had been edited and demanded that the video, which he says was 45 minutes long, be played in full for Kenyans to know what really transpired. – Have you ever wondered how Hussein Mohamed looked before he started anchoring the news for Citizen TV? well, wonder no more Hussein Mohamed is arguably one of Kenya’s most talented news anchors well known for his great interview skills that have propelled him to the A list of Kenyan broadcasters. Hussein is one of the few gentlemen left in the topsy turvy world of Kenyan media. The versatile Hussein, who is also a talented footballer, started as a reporter at the Hurlingham based TV station. Within a few years, the talented journalist rose up the ladder and has now become a household name. Hussein alongside Janet Mbugua-Ndichu, host ‘Monday Special’ and The Big Question, on Citizen TV. Below is a photo of Hussein as a reporter at Citizen TV way back in 2011. 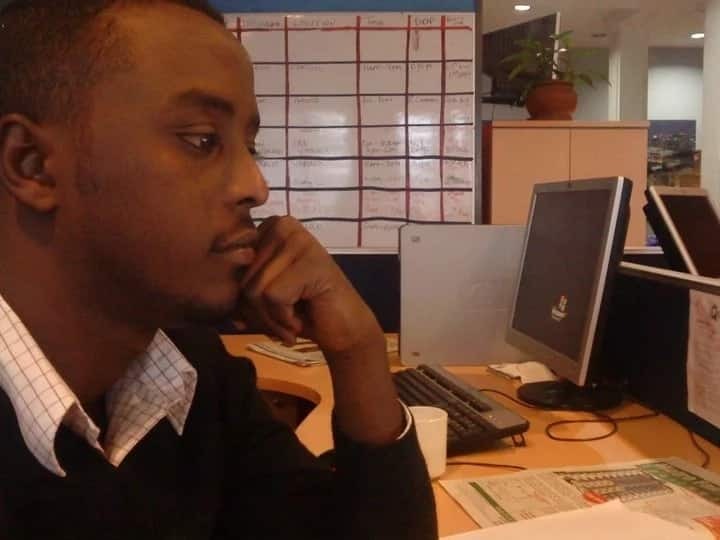 Hussein Mohamed in 2011 when he worked as a reporter.